I am sharing my personal project, Build Your Own NAS (BYON) here. Follow me on my BYON project that details discussions on customizing and building your own NAS from scratch. From deciding to buy or build a NAS, I go through the selection of every hardware components, Operating Systems, RAID and more. I plan, source, buy, build, test, benchmark and share my knowledge and findings with everyone. As I share out my BYON right now, Phase 1 of this project has just been completed and I am presently at phase 2 but yet to document the content. I welcome any suggestions or discussions related to NAS here, especially on NAS performance testing methods. 2.1.1 NAS Assembly Part 1 is out. Click here. 3.1 Test Methods and Setup is released in draft version. To be revised if necessary. 2.1.2 NAS Assembly Part 2 is out. Click here. Apologies, I have so many pictures to share, so the assembly will be split into 4 parts. 2.1.3 NAS Assembly Part 3 is out. Click here. 3.1 Test Methods and Setup is now finalized. Click here. Minor revision1: I discovered a bottleneck on my Testing desktop HDD. Changed Testing Desktop HDD from WD 3TB to Toshiba 3TB. Minor revision2: Revised Test Files to include 7 files that are larger than 4gb. 2.2 Setup 1 - FreeNAS is out. Click here. 2.3 Setup 2 - Synology DSM is out. Click here. Updates 06-7-2013 - All installations & configurations are completed. 2.4 Setup 3 - U-NAS is out. Click here. Updates 08-7-2013 - 1st setup - FreeNAS testing results are out! 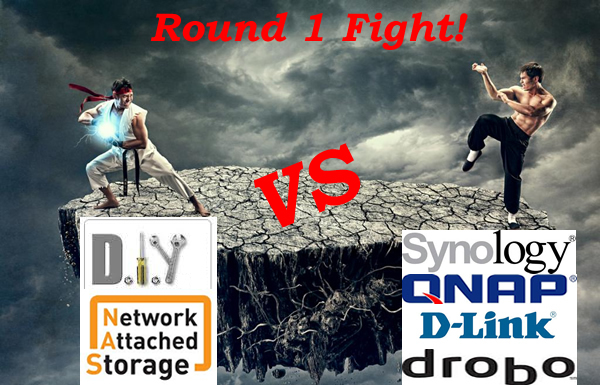 Updates 13-7-2013 - 2nd setup - Synology DSM testing results are out! Updates 15-7-2013 - 3rd setup - U-NAS testing results are out! Updates 21-7-2013 - Benchmark charts are out and also the finale of BYON. fatworm, saysuzu and alwaysbadboy like this. Last edited by Tears4Fears; 21-07-2013 at 03:58 AM..
A big thank you to the moderator for making this thread sticky. I hope the information that I've documented serve helpful reference for everyone here. Drop me a PM if there's any questions. Cheers! Last edited by Tears4Fears; 16-09-2013 at 10:01 PM.. I am currently using drive bender software to pool my drives and snapraid for snapshot raid. Works pretty well but need a bit of manual effort to maintain. Looking forward to see and understand your approach to the storage management. Someone promised me to order some 6-Bays U-NAS when he was at Taipei. But comes back empty handed. I've mobos, rams, hdds, ssds, usb pendrives, flex psu ready. But NO cases. Thanks for making the effort to document your journey! I'm very interested to see how it turns out! I was in a similar predicament 2yrs ago, but eventually chickened out and bought Synology for the UI, features and software packages. I'm also intentionally mixing different drive brands and models in my setup. It was definitely a good choice, or I would have lost all my data if I had bought all Samsungs (cheapest then). Was ECC RAM ever part of your plans? I've done both and ended up with a Synology. It's difficult to beat the whole package they offer, from my point of view. The system already saturates Gigabit throughput, yet consumes quite little power, leaves a tiny footprint. The manufacturers handle the updates so that the firmware + packages changes never break anything. The dilemma is often, a system to play around with and has infinite possibilities vs the "production" server for family that has to be up 24/7 and easy to use all the time. I won't take slow for an answer. Me too. Got a Synology initially and wanted to build my own NAS as my second set. In the end, I also gave up. I couldn't find one complete solution that will be as complete as Synology and the power footprint comparable to it as well. Now I'm using that rig meant to build as NAS (Lian-LI PC-Q18 casing) as my second PC rig. I'm just curious as I'm a NAS noob. What is the difference between filesharing via normal folder sharing as compared to NAS? No mercy for the despicable IB scums. We must take the offensive against them. Mourning Singapore democracy's death due to the 2017 presidential election farce. PM me if you require Keppel Electric referral code. Technology wise it's the same, in windows they both use the Windows SMB protocol. You could use another PC to do the same functions as a NAS. A NAS is just a specific device used to share and serve files and it's OS is also therefore designed specifically to do as such. Makes the experience more seamless and less of a hassle because your options are restricted to NAS functions and you have less danger of doing the wrong thing. For those using Synology... Does their NAS have a hardware RAID chip to accelerate disk rebuilds? Firstly, thank you for all the support. You know, till this date, I am still itching for it even though I have already purchased the 4-bay. 1. What OS did you install Snapraid on? 2. What are the efforts to maintain? I'm interested to know more. ECC rams are typically used on critical servers that operate 24x7 and can withstand 0 downtime. For home use, I have yet to reach that stage whereby I need those data all day long. At the moment, I yet to consider ECC but I will if needs arise. Ans: After copying the files to the shared (pooled) drive, I will turn off the file balancing option, shutdown drive bender, then run the snapraid sync to update the parity and q-parity files. As I mostly copy files infrequently and usually around 200Gb to 300Gb at a go, it is not a real big effort. BTW, I am using IBM M1015 raid card to provide 8 more SATA 3 ports. True enough normally only enterprise purpose servers uses ECC ram, one thing is the server boards insist. But no servers today can withstand zero downtime.